Winston Maddox, MCCC’s Dean of Business and Technology, Earns Ph.D.
WEST WINDSOR – Dr. Winston Maddox, dean of Business and Technology at Mercer County Community College (MCCC), recently earned a Ph.D. in Leadership and Change, with a concentration on the effects of information systems on older adults, from Antioch University of Yellow Springs, Ohio. His dissertation, “Adapting to a Virtual Learning Environment,” examines the experiences of five experienced college faculty members transitioning from teaching in a traditional classroom to a virtual learning environment. The participants used technology to deliver course material and reflected on the changes in their pedagogical practice. The study concluded with the development of an “Introduction to Online Teaching for Experienced Faculty” workshop.” The results substantiated that faculty experience various disorienting dilemmas that correlate with the transformation, and also highlights the faculty participants’ concerns, issues, and perspectives. The dissertation includes 22 videos. Maddox returned to Antioch in August for formal commencement ceremonies. 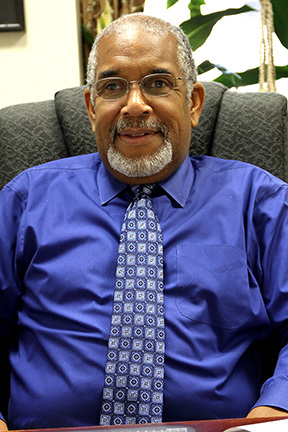 In addition to his position as dean of Business and Technology, Maddox is a full professor in the Computer Information Technology Department. He received his B.A. from the University of Hartford and M.A. from Bowling Green State University. Maddox has more than 20 years of corporate experience, having worked at Digital Equipment Corporation (now Hewlett Packard), and at the General Electric Corporation. He has developed an extensive background and knowledge in the management of computer information systems and the effect of technology on older individuals. Dr. Winston Maddox, dean of Business and Technology at Mercer County Community College. For more on Maddox’s research, click here.